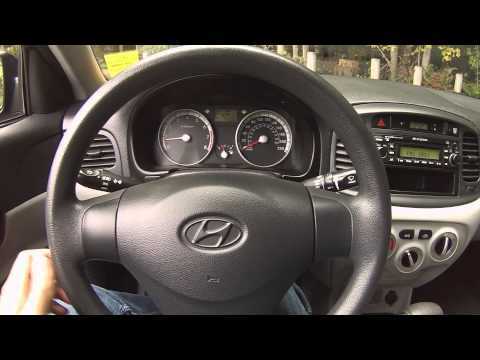 If an ultra-practical and affordable subcompact is your next vehicle purchase, you'll appreciate the 2009 Hyundai Accent's value, which includes numerous safety features, a long warranty and unusual availability of accessories. If your driving aspirations are bigger than your budget, you should also appreciate the SE three-door's sporty look, astonishingly responsive handling and cornering capability. Very reliable vehicle, not roomy, may have to replace interior parts. One thing that I can say about my vehicle is that it is very reliable. If you do the regular maintenance on it; it will last a long time. I have had my Hyundai for over 9 years. As far as the features the quality of the materials are not as good quality as a BMW. In the 9 years that I have had my vehicle the plastic on the interior has fallen apart. The only major problems right now on my vehicle is the key ignition needs to be changed. It will periodically get stuck and I can not turn the key to start the engine. I have put 146k on this car and it is still going. It is not very roomy so if your looking for a spacious vehicle this is not for you. However, it is very good on gas. I usually only fill up my gas tank once every 2 weeks, and I drive every day in this vehicle. Defining a car's value by its affordability and reliability. I bought a 2-door hatchback Accent because I valued the load capacity vs passenger comfort. This was ignoring the fact that grandchildren grow, but it was my only oversight. My car has been dependable, and its operation and maintenance has met my level of affordability. I have been very satisfied with the hyundai dealership and service department. 1) I found the car affordable with a cash-back offer, 2) there was a 5 year bumper-to-bumper warranty and an additional 5 year warranty on the powertrain, and 3) the service department took excellent care of my car, including items that came up through the company regarding recalls. I have gotten the value out of the money I have spent on this car. You get what you pay for: a budget car. The Hyundai accent is a bargain car. It can get you from point A to point B, but it is nothing fancy. In the few years I have owned it, both sun visors popped off of their holders, the plastic tire rim fell apart, and a fuse blew. The fuses are located under the battery, which do not make them easy to replace. It has decent gas mileage and the interior is comfortable. For someone my size, it is fine but my husband, who is taller, finds the interior too small and cramped.